each other. I will send you my pictures when i receive your reply,waiting to hear from you as i wish you all the best for your day. Mine a little coal over here in Dakar Senegal . civil war that was fought in my country some years. state before the rebels attacked our house one early morning and killed my mother and father in a cold blood. It was only me that is alive now and i managed to make my way to a nearby country Senegal where i am living now as an orphan. Je suis plus qu'heureux dans votre réponse à ma mail.How était votre jour aujourd'hui ?. Mine de charbon sur un peu ici, à Dakar au Sénégal. la guerre civile qui a été battu dans mon pays quelques années. Etat avant que les rebelles ont attaqué notre maison une tôt le matin et a tué ma mère et mon père dans un sang-froid. Ce ne est que moi, ce est en vie aujourd'hui et je ai réussi à faire mon chemin à un pays voisin du Sénégal où je vis maintenant comme un orphelin. Je aimerais en savoir plus sur you.Your goûts et dégoûts, vos loisirs et ce que vous faites presently.I vous en dira plus sur moi-même dans mon prochain courrier. Comment se passe votre journée? je espère que tout va bien. ? . Le mien est un peu froid ici à Dakar au Sénégal. une pour les hommes, l'autre pour les femmes. qui me amènent être dans cette situation aujourd'hui a eu lieu. Millions cinq cent mille dollars ) . 2 Votre téléphone et numéro de télécopieur Je vais donc savoir à qui je ai affaire à.
crois en destiney et je préfère une bonne personne. Passez une bonne journée et penser à moi. Address: St Andrew Square Edinburgh SCO EH2 2YB P.
WARNING. . . . . . . THIS MESSAGE IS AN OFFICIAL PROPERTY OF CENTRAL BANK OFENGLAND,IT IS HIGHLY CONFIDENTIAL AND IT IS ONLY ISSUED TO NEXT OF KINS TO DECEASED COSTUMERS OF THIS BANK,PROVING THEY ARE GENUINE TOWARDS SUCH CLAIMS.ANY ALTERATION,CANCELLATION,WRONG INFORMATION OR MISTAKES MADE AS A RESULT OF PROVIDING THIS REQUIREMENTS WILL MAKE SUCH CLAIM INVALID AND NOT GENUINE. . . . . . . Restricted use only. . . . . . . . . . . . . This document remains strictly and confidentially the property ofRoyal Bank Of Scotlandand must not be transferred to any illicit owner.The recipient must confirm to this Bank the receipt of this email to enable us know that it got to the rightful person. . . . . . . . . .
FULLFIL THE UNDERNEATH REQUIRED INFORMATION/DOCUMENTS AND SEND THIS COMMUNICATION BACK TO THIS BANK. WE HEREBY ACKNOLEDGED THE RECIEPT OF YOUR APPLICATION AS THE NOMINEE/TRUSTEE TO MISSCYNTHIA WILLIAM WHO IS THE NEXT OF KIN TO OUR DECEASED CUSTOMER LATE Dr DAVID WILLIAM, ALREADY WE HAVE BEEN INFORMED/NOTIFIED BY THE YOUNG LADY THAT YOU ARE HER TRUSTEE BY THE SUBMITION OF A NOMINATION LETTER ON YOUR NAME WHICH WAS DATED ON 31/01/2015. INLINE WITH OUR SECURITY MEASURES AND ALLIED ADMISTRATION MATTERS,YOUR APPLICATION IS GOING UNDER SECURITIZATION BY THE EXECUTIVE MANAGEMENT BOARD OF THIS BANK AND THIS WILL BE APPROVED UPON THE FULLFILMENT OF OUR OFFICIAL OBLIGATION AFTER CERTIFYING THAT YOU ARE THE ORIGINAL NOMINEE/TRUSTEE BY THE NEXT OF KIN TO OUR DECEASED CUSTOMERLATE DR D AVID WILLIAM BY FORTIFYING TO THIS BANK WITH THE FOLLOWING DOCUMENTS. 1,A COPY OF THEDEATH CERTIFICATEOF LATE DRD AVID WILLIAMCONFIRMING HIS DEATH. 2, A COPY OF THE DEPOSIT CATIFICATE OF THE FUND IN OUR BANK. 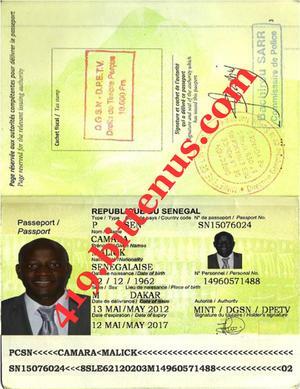 3, AN AFFIDAVIT OF OATH DULY ISSUED BY THE FEDERAL HIGH COURT OF SENEGAL . 4, YOU ARE TO CONTACT A LAWYER IN SENEGAL TO ISSUE A POWER OF ATTORNEY/(LETTER OF AUTHORIZATION) ON YOUR NAME SIGNED BY YOUR PARTNER MISSCYNTHIA WILLIAM , THE ABOVE MENTIONED POWER OF ATTORNEY IS THE ARTICLE EDICT NO 458 INBANKING TERMSSINCE 1928.THIS WILL PERMIT/EMPOWER US TO TRANSFER THE MENTIONED GLOBAL DEPOSIT TO ANY OF YOUR GIVEN ACCOUNT DETAILS WITHIN 48 HOURS. THIS DOCUMENT MUST BE ENDORSED BY A SENEGALESE RESIDENT LAWYER AS YOUR PARTNER IS CURRENTLY RESIDING INSENEGAL WHICH SHE CAN HELP YOU TO GET ONE. The information contained in this message is confidential and/or privileged. This message is intended to be read only by the person named above. The unauthorised use, disclosure, copying or alteration of this message is strictly prohibited. If you are not the addressee, (or responsible for delivery of the message to the addressee), please notify the originator by return message and destroy the original message. My dear,thank you very much for your efforts,encouragement and advice.I cannot stop thanking of you because you have shown me love and trust.What would i have done without you being there for me? absolutely nothing.The Almighty will bless and reward you mightly. I have informed the Reverend Father that we need a Lawyer.He thought that both of us have known each other for very time now.He is the only person that knows that i have some money in the foriegn account but does not know how much it is .I told him that you want to help me to get it transferred and from there i can buy my freedom and have my travelling documents.He has suggested for us a good Lawyer that will help us for the documents that the Bank is demanding from us and below is the contact information of the lawyer. NAME . . . . . . . . . . . . .Barrister malick camara (Esq. Please my dear,kindly contact him by forwarding the message that you got from the Bank to him so that he will know what we really want him to do and start up with the preparation so that we will meet up with the mandate given to us by the Bank. thank you very much my dear for everything.i am really happy that i have someone like you.i have never being as happy as i am for having someone like you and knowing fully well that you are willing to help me get my freedom again. Barrister Malick Camara Chambers & Associates. YOUR FULL ADDRESS YOUR PHONE NUMBER). 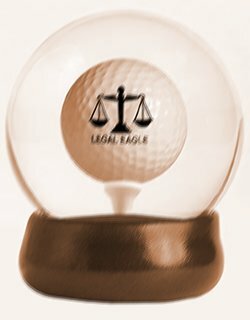 BEFORE ACCEPTING TO RENDER THE REQUIRED LEGAL SERVICES. 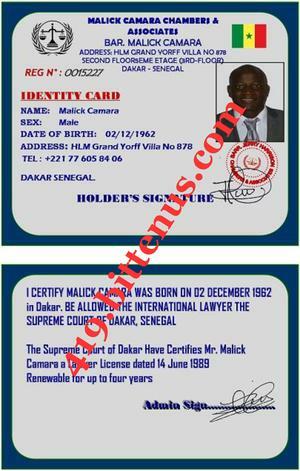 Malick Camara Chambers & Associates. Acknowledgment To R equest over getting to Him and his partner Miss Cynthia William , An Authentication Documents From this firm, Power of Attorney And Affidavits of Oath, Which will enable the Bank to Deal with you on behalf of Miss Cynthia William, Who was here in my office to discuss on how to Issue This letter of Authorization on a Transaction to you. I,Barrister Malick Camaraof M.Camara Law Chambers and associate, Here by indicating that we have fully accepted the consultant of this partners with there information reiceved today, And have undertaking the services of getting and his Partner Miss Cynthia William,The Letter of actualize, that willingly This transfer is well think and freely accepted that the transaction of her's Funds will go to position of account, With due Respect to this service the firm have gone through the needs and Ascertain the cost of this service from the federal high court of justice here in Dakar Senegal and is listed as follows. Purposes. The Cost in dollar. B) - Swearing of the affidavit of oath at the federal high court here Before it becomes valid . . .$200 dollar. C) - Notary stamping at the notary office (before it will go out from Senegal here). . . $1 00 dollar. high court here in Senegal. I Barrister Malick Camara Is here to agree that with the firm bill Stated to you, Prior the name and the ref sign of the firm is sealed that the services of you, Miss Cynthia William in this firm will not be delay or by any means fail the appointed date since we are on a working days, You are to send the money immediately With the name of my secretaryinformation below to enable Us carry on the process of the documents. COUNTRY. . . . . . SENEGAL .